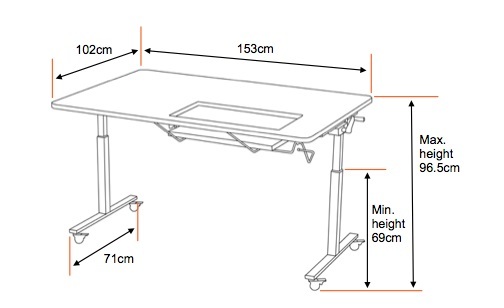 An adjustable height table so everyone can stand a comfortable height to work or in a lower position to sew. 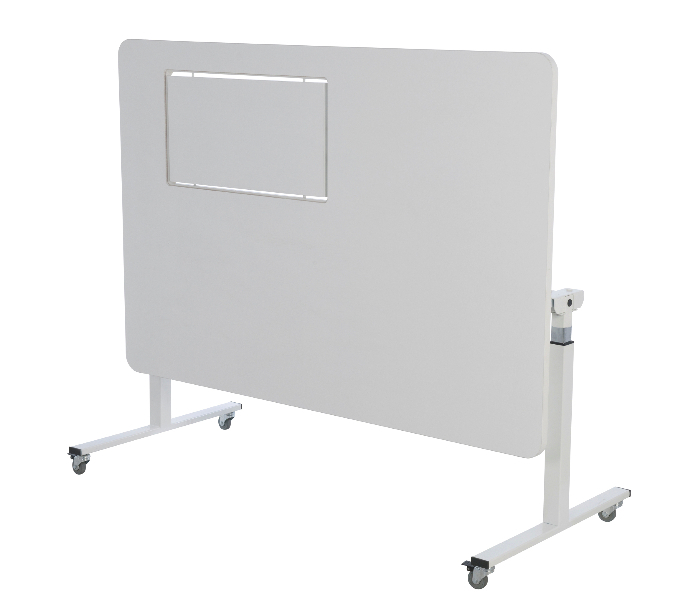 Use the special insert to machine sew in a flatbed position with a huge area surrounding you for the biggest of projects or in a table top position for machine embroidery or free arm. The aperture is large enough for any domestic machine. 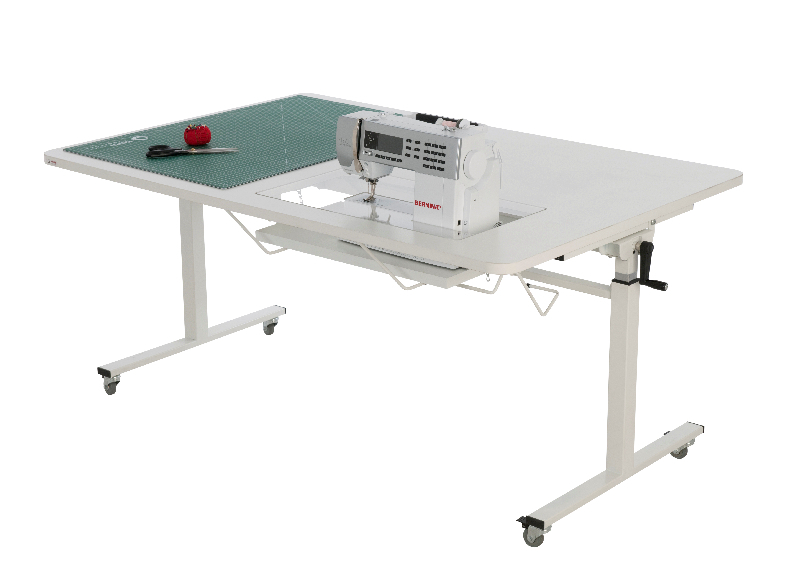 The all in one cutting and sewing table adjusts to the perfect height specific to your individual requirements and needs.